An idea of holidays in India is full of life, variety and colours. Laced with great diversity, the vacations here offer rich experiences to cherish for a lifetime. These travel experiences not just change your surroundings, but deep within you they penetrate and change your perspective and life’s outlook. May be this is the one reason which states why travelling is considered a life changing experience. It introduces you to the new locations, unique lifestyles, takes you through places and returns back with you in fond memories. A country of immense diversity, India boasts of a variety of travel based on its intricate art forms, culture, traditions and landscape. Driven by a difference, the country stands united under the same hospitable and receptive tradition of Atithi Devo Bhavah. Meaning the guest is god, this receptive ethos makes India an inviting destination ready to welcome the holidayers in every way. There are variety of itineraries and destinations offering travellers like you a choice in exploring India in every way possible. Bestowed with a wealth of beaches, hill stations, deserts, sacred rivers, spiritual retreats, historical monuments, temples and celebrations; India is a dream destination for many. 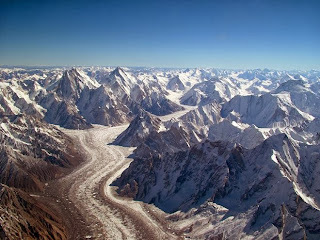 In fact, the success of Incredible India campaign has strongly highlighted the beauty and variety of the country through stunning visuals, beautiful imagery and bountiful tourist attractions. These tourist attractions offer travellers an opportunity to experience the best of India with every trip. And provide them an opportunity to derive the best of the holidays in this country. One can enrich the knowledge about various travel destinations in India for a more detailed knowledge about them. Holidays are the time, when leisure replaces routine life and allows you to indulge in your passion and pursuits. And if the holidays are in India, the joys of happiness abound around the interesting destinations in the country. Blessed with a variety of destinations with elaborate tourism potentials, the country leads the deck in terms of experiential journeys. Also, it has reinvented its tourism strategy, focusing upon promoting the offbeat travel destinations. This is done with a view to present the country’s hidden potentials to the traveller and acquaint him to its best-kept bounties. You can follow some of the recently highlighted holiday destinations in India below. 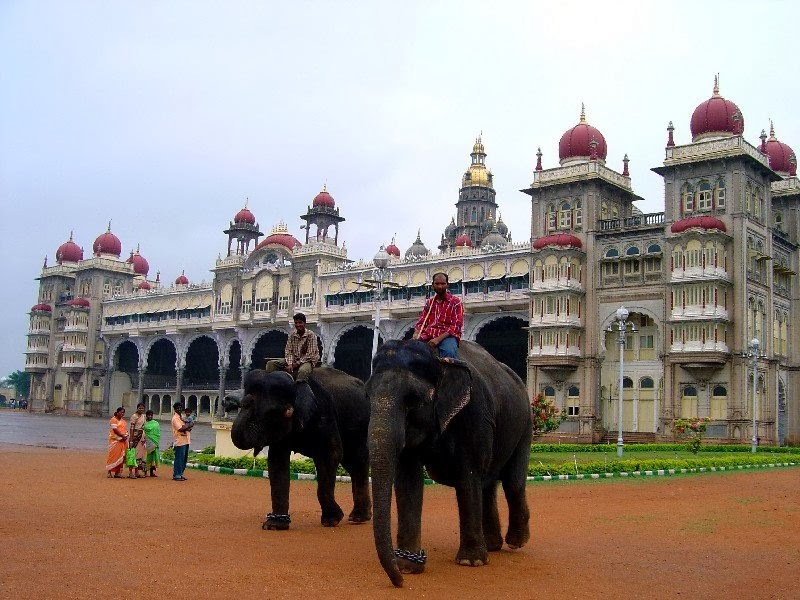 Karnataka, one of the wettest regions of India is also the leading destination of the country in terms of its rich tourism potentials. 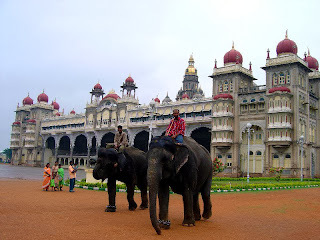 Created out of the princely state of Mysore, Karnataka is the state etched in its culture, heritage and traditions. The many worlds of the destination offer extraordinary experiences based on ruined civilizations, royal cities, classic beaches, wildlife forests, hill stations and metropolitan cities. The hilly Himachal Pradesh is another offbeat destination prominent amongst the tourist circuit as the adventurous abode of the Himalayas. Seasoned with apple orchards, subtropical forests and maize fields, the state offers immaculate hospitality and an opportunity to reconnect with your soul. There is a variety of adventure sports here that ranges from trekking, river rafting, paragliding, camping, etc that offers the opportunity to identify your true potential in testimony of nature’s challenges. Another way to reconnect with the soul here passes through its spiritual shrines and Shaktipeeth Temples, Buddhist monasteries and Victorian churches. The Himachal Hill Tour will surely take you through the tucks and folds of mountains and make the Himalayan holidays memorable. Next promising destination in the country is Maharashtra. Located in Western India, this state is sheer in terms of size, diversity and rich tourism potentials. Here, you can enjoy unlimited opportunities to holiday upon its pristine beaches and hill stations. Alongside, you can also visit the niche heritage sites of Maharashtra, including Ajanta, Ellora and Elephanta Caves. All of the three caves are the world heritage sites. 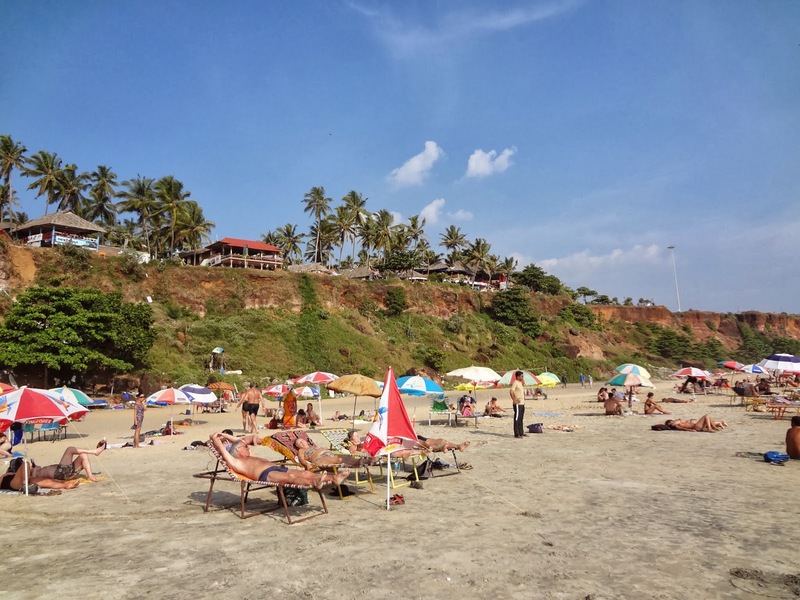 Other than that, the state is also known to receive the maximum number of foreign tourist arrivals in India, reason being the presence of metropolitan Mumbai. Often referred to as the city of dreams, this city always in motion is renowned worldwide for Bollywood or Hindi film industry. These are some of the upcoming holiday destinations in India. But there are a lot more that comprise the offbeat, unique and novel destinations in the country. In an attempt to present the richness of India in terms of tourist destinations, we will be highlighting the essence of the country’s rich tourist attractions on our Sai Holidays Blog. Follow us to know more. Holidays not just provide a desirable change from the crunching deadlines, but also leave a profound influence on the well being as well. Obviously it is better to look at the memorable moments of vacations than regretting not availing it. More than just the memories, these holidays have a great impact on a travellers' existence. It is like spending towards garnering new experiences. And after completing it, you can proudly say that I've climbed to Mt. Kilimanjaro, dived deep around Andaman and Nicobar Islands, travelled aboard the Maharajas' Express, participated in skydiving and wildlife expeditions in South Africa, etc. All these trips are more than just the mere trophies to boast of, but also provide a welcoming relief from daily routine life. They allow you to identify your interests and realize your wishes and dreams of travelling. Imagine life without holidays. Surely, it will be monotonous and cranky affair. Now, nobody in the world wants to surround himself with the four walls of the house and office. These vacations provide a unique time to be with your own self. Also, these breaks give you a perfect setting and time to bond with your families and partners. Imagine family vacations at a hilly retreat or a private beach vacation with your partner. A picture perfect moment, right. Now, no one wants to miss out on these cherished moments. Away from monotonous life, these special vacations allow you to enjoy and have a perfect time bonding with your families and partners in a different setting. Also, these exclusive vacations provide collective memories. Besides quality family time, these trips also are a perfect way to meet people. During this time, as a traveller, you get to interact with a lot of new people. Unlike your interactions with limited set of people, these vacations open up your perspectives of life. Go on holiday and you might make new friends. More than all these facets, these holidays never leave you and remain with you for life. Such vacations indeed are very special. For such special vacations, Sai Holidays is a perfect companion. With customized itineraries and classic combinations, it makes sure you get the best of travelling experiences to cherish for a lifetime. Is it only a price that motivates the travellers while planning a trip to India? Or there’s more to this experiential country that pulls them here; wonder many tourists who come to us to spend their most awaited holidays. The answer follows below. Why we seek holidays? To change right. Change from the usual monotonous lifestyle, ever crunching deadlines, piling up stress. Yes, it is also a perfect way to realize and express the inner urge to have fun and enjoy a meaningful way to life. 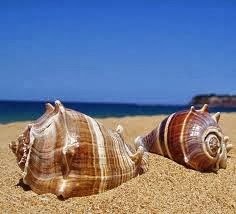 And a better way to holiday lies in the destination that epitomizes change in every form. You are right. India is a country that changes at every few miles. These changes come across in the form of culture, ethnicity, language, cuisine, lifestyle, beliefs, etc. All these come across as a welcoming relief; presenting India as a mini world where all the religions are worshipped, all beliefs are accustomed and even strangers are treated like gods. Next interpretation to the change comes up in the form of landscape. At a single point of time only, a visitor can actually experience a diversified and picturesque topography. There are daunting mountains on one end and the serene beaches on the other. There is a desert region rising from the west and the contrasting greenery in the eastern countryside. Contrastingly, there are serene villages and bustling cities dotting the country with its differences. All these when come together, define the ever changing landscape of India. 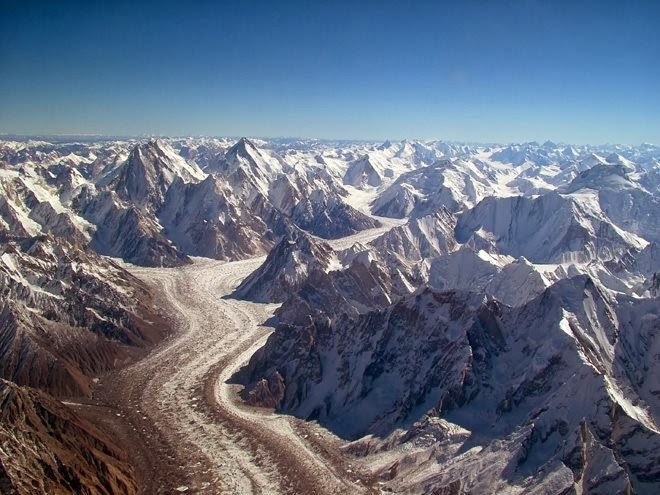 This diversified landscape forms a great reason why India is a destination of choices. Here, tourists can realize the changes of desire in the form of Hill Tours, Beach Holidays, Wildlife Tours, Pilgrim Tours, etc and derive a perfect holiday experience that changes at every halt. As a perfect holiday companion, Sai Holidays makes sure that the tourists get the desired change from the monotonous life through exciting trips to India. This excitement is not just limited to the destination, but forms the inspiration behind the customized itineraries demanded by the visitors during India tour. The main aim at Sai Holidays is to utilize the ever changing and beautified Indian landscape in promoting the rich tourism potentials of India. Every traveller in this world wants to enjoy the memorable vacations. But what comprises a memorable vacation? Is it entirely based upon a destination and its unique attractions? Or it’s entirely upon the hospitality? Or a combination of both. Seems like a riddle. Well, no. There is a way to an everlasting holiday experience. It goes through planning. Now, planning is the scrutinized action worked out beforehand for the accomplishment of a goal. In our case, it’s a holiday. To make the best out of a holiday, we need to set a budget. This will bring the best value for money and enjoy the trip in the most promising way. Once the budget is set, define and streamline the destination experiences you want or expect during this trip. This will be based upon identifying the nature of the tour. It can be nature, adventure, local culture, monumental sightseeing or rejuvenating vacations. In a country like India, there is no dearth of experiences. So a prospective traveller is expected to identify the set of experiences for a perfect holiday. This exercise in the initial planning phase will surely contribute to the effective tour planning according to the likes and dislikes. Brushing up with the destination’s brief study is also a great way to make the most out of a journey. This includes preparing and learning as a preparation before plunging into an unknown holiday destination. Nowadays, there are abundant resources based on which a prospective traveller can brush up with the history, culture and local attractions of India. The more you know, the better will be your experiential vacation. Next step to make the most out of holiday in India is to reserve in advance. This includes planning the logistics, fixing on mode of transportation (road, railways or airways), type of accommodation (budget, deluxe, heritage, etc). This advance execution will help the travellers enjoy the journey in a spirited way, without worrying about the arrangements. A more convenient way of getting this advance reservation done is through an experienced tour operator. 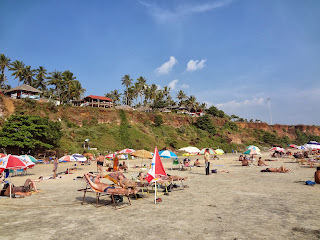 These professionals know the best way of planning and generating the advance bookings and provide the best value during an India holiday and even during international vacations. Now that everything is set in place, begin enjoying the best of the destination with the realistic expectations. This includes a leisure travel based on the streamlined interests. Since India is a destination of all reasons, it needs a simplified approach to gain the great holiday experiences. You are not expected to rush towards sightseeing of all the destinations, but slowly soak in the unique travel attractions. Enjoying the holiday within the time you have is the best way to enjoy a great holiday. At Sai Holidays, it’s a philosophy of providing great experiential vacations at low prices that makes the company unique amongst the rest. With its valuable insights, the company makes sure that the travellers receive great vacationing experiences at the economical prices.